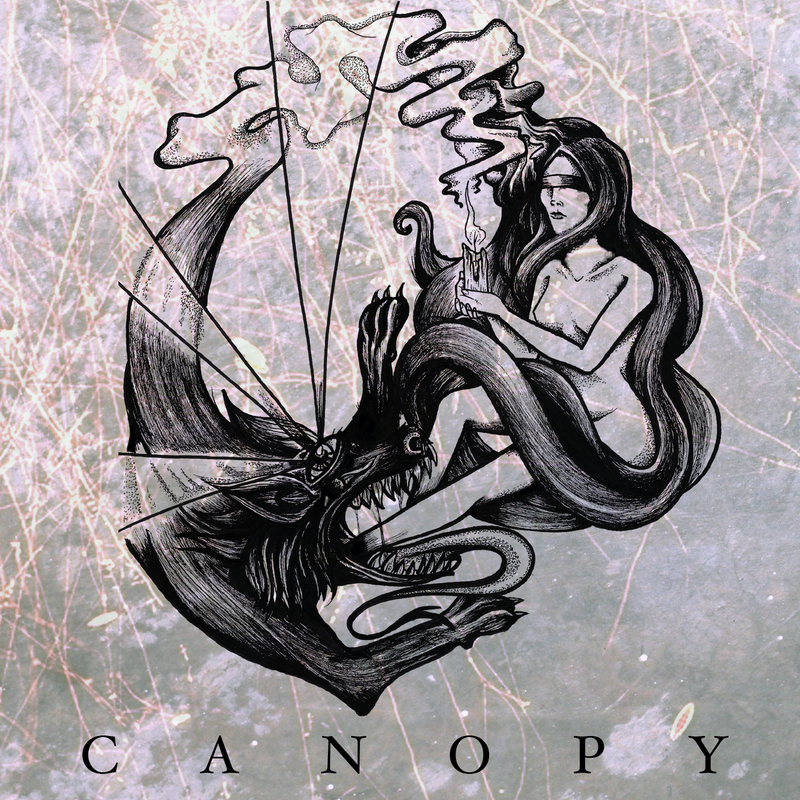 Back with a new EP, Atlanta, GA's band Canopy have three more tracks of their experimental style to share with the world, though this time around, they seem to have their tastes more firmly settled. The first of the tracks is "Life is Just Terrible", a ~9-minute piece with blackened vocals, thick-layered drumming, and broad slabs of bass lending things a sludgy air while heavy riffs are primed and deployed one after another. "Hexed" comes after that, putting its three minutes and change to work in a quicker, flashier, but still hard-knuckled approach to the same general vibe. Lastly, "Cosmic Void" provides a comparatively gentle few minutes of acoustic resonance before launching back into the grime and gutturality with which they seem most comfortable. It's a strong second release (or third, if you count their original demo back in 2011) from the band, and one which shows them continuing to refine their approach to the music they've put together; even more impressive, it was recorded in just a single day. 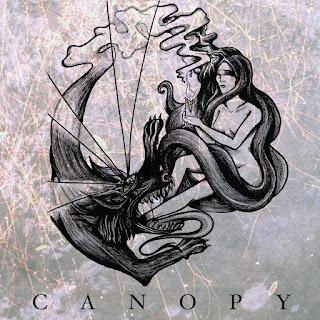 Harder riffs, more sophisticated song-writing, and good chemistry between the instruments makes this a solid EP to add to your rotation if you've looking for something heavy and harsh, but still somewhat tuneful.